Designs, masonries and miniatures belonging to the pre-Islamic history of Iran all indicate Iranians' interest and taste in music. In the post-islamic era, too, despite some opposition which made music lose its former success, this art survived. The survival of music in the Safavid era can be found in Chehel Sotun palace and the music chamber of Ali Qapu Monument in Isfahan. Iran's music is an amalgamation of tunes and melodies which have been created in the course of centuries in Iran and have evolved along with other aspects of the Iranian life. They refelct the moral characteristics, as well as political, social events and geographical features of a country with an ancient history. The subtlety and profundity of Iranian music leads man to reflection and deep thought and takes him to a celestial world. 2- The post-Islamic music:a)Maghami (mystic) music; This music includes epic music, lyric music for marriage, birthday and other happy occasions, and elegiac music for mournful occasions. b) Radif music which includes the Dastgahs(modes) of Traditional music. 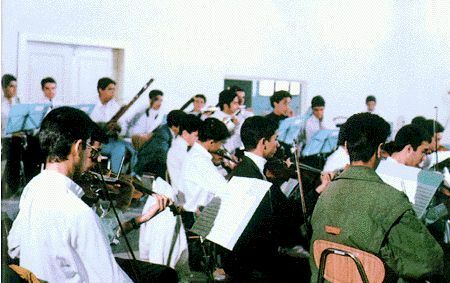 In the contemporary era, Iranian music includes three branches; the two above-mentioned groups in addition to a third one which is Iran's national music. This branch covers the traditional melodies of the two above groups, but with a classic rendition. Abdollah, Darvish Khan, and Saba follow the same order. 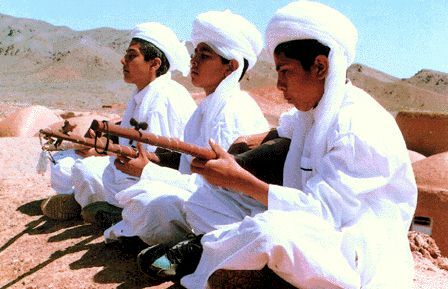 The Dastgahs (modes) and Awazes (melodies) in Iran's Traditional Music. The seven main Dastgahs or modes are: Shoor, Mahoor, Homayoon, Segah, Chahargah, Nava, and Rast Panjgah. The five Awazes or melodies are: Isfahan, Abou Ata, Bayat-e-Tork, Afshari and Dashti. the prelude) and Chahar Mezrab to this order. dances which are accompanied by native musical instruments. 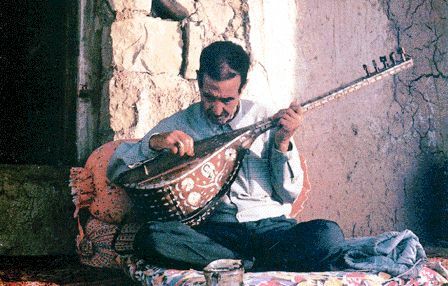 Iran's musical instruments have been of immense importance since ancient times. 2)- Group playing, either small or large groups with solo or chorus. of worship, especially in his solitude. joining the Iranian ones and the playing of Iranian pieces on western instruments, it further prospered. 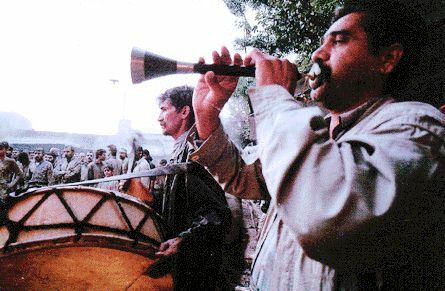 ney is among Iran's rural instruments and is usually played in all parts of Iran. 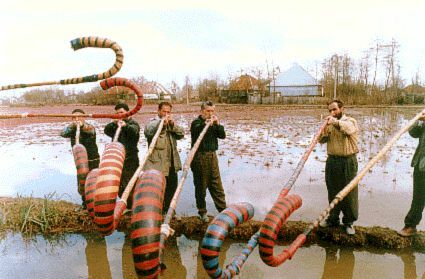 Azarbaijan, the villagers play the Sorna in their marriage ceremonies along with wood dancing. 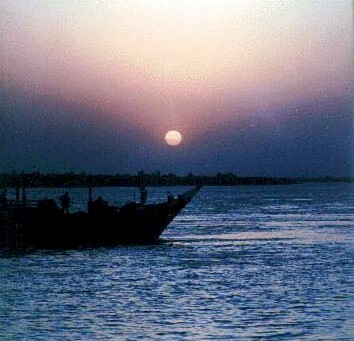 Gilan and Mashhad. The Korna is mostly played in Kordestan and Azarbaijan. in some parts of Azarbaijan. during the performance). This instrument can be used well both in solo and in group performance. among Turkmen and Turk tribes. - The barbat (a harp-like Iranian instrument): this is an instrument from the family of limited string instruments. a short neck which, in earlier times, used to have three strings. The famous Iranian percussion instruments are the dohol, the dayereh, the drum and the Tonbak. most parts of Iran, it is usually used in mourning ceremonies. mouth. It is played by the fingers and the skillful player performs artistic subtleties on it. land, woods, farms, and paddy fields of Gilan. 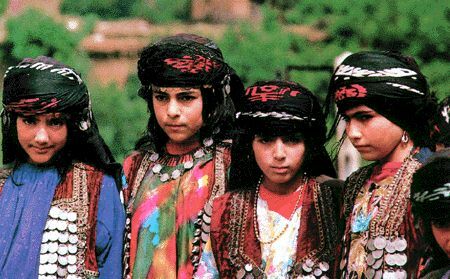 Vocal music is mainly rooted in the east of Gilan, that is, in the mountainous area of this part of the country. which are used are the "laleh" (the shepherds' reed), "sorna", and "naghareh". and handed down by word of mouth from generation to generation. Imamzadeh has been built in the western section of the yard on a plate which is one meter above the ground. during the Safavid dynasty 1499 - 1723.
groups (groups of muslim mystics), and they are performed as a part of special rituals in monasteries. and at thimes both men and women gather in groups and dance to these popular tunes. absolutely rhythmic and mostly vocal. Sabzevar.) The music in this region is undoubtedly the richest throughout the whole country. songs which are sung in the mourning ritual one can mention " sahari" and " pakotali". through the years. This music is known as the chief root and source of contemporary Azarbaijan music. has a great deal of teatures in common with the traditional " radifi" music. years. Among these forms are the opera, the symphony, the concerto, the fantasy, and the ditties. of music known as " ozans". Ozans were the forefathers of the Turkmen " bakhshees" of today. Likoo and Zahirook, Mootak, Mir Ghanbar, Sepat, Laroo and Sheshgani, Liioo and Gooat (Gooati).